There are plenty of bingo sites and making a decision to join one can seem a bit daunting where there is so much choice. So what should you expect and look out for? With so many sites wanting you to play with them there are a few things you can do to make sure you get a good deal. For starters you can expect a welcome offer, such as a bonus offer, a bonus that doesn’t require a deposit, free spins or some free bingo games. Bonuses can be given in a few different ways. A bingo site can either top up your account with a percentage of the amount deposited automatically (as a rule of thumb the minimum bonus will be a cash match amount), or they can also give you the bonus when you spend a certain amount. Sometimes you can get special deals in the way of a bonus code or an extra amount on top of the usual welcome bonus. There are many different variations but there are always terms and conditions associated to these bonuses, so read the small print. You can usually expect a minimum of a cash match bonus (that is 100%) to what you have deposited. However there is much variety and there are a number of sites that offer 500% bonus and upwards! Although the percentage may seem large you must also take into account the upper limit of the amount on offer. For example, a £100 cash match bonus may be up to a maximum of £100, but a 500% bonus may get a maximum amount of £50. If you are going to make an initial deposit of £10 then your obvious choice would be the higher bonus offer, but if you are looking at making a larger deposit then the cash match bonus may be more generous. As well as an upper limit of bonus there is always a lower limit amount for you to qualify for the bonus. This is usually (but not exclusively) £10, but some make it £5 to make it more attractive for players who want to try with minimum risk. There are also offers that split the bonus between bingo games and side games (slots and other games). If you like slots then this is great, if you only like to play bingo then you may want to consider a more traditional bonus. Many bingo operators offer reload bonuses on subsequent deposits. This is great to create loyalty in players and also ensures that your money goes that little bit further. Some offer reload bonuses based on how much you play (the more you play the higher the percentage bonus), or a flat amount which many have at 50% capped at £50 maximum. There are some operators however that give very attractive incentives treating second and even third deposits as generously (and in some cases even more generously) than the first deposit bonus. As always there are terms and conditions associated with this and these top-up bonuses will extend the wagering requirements and limitations on withdrawing your money. 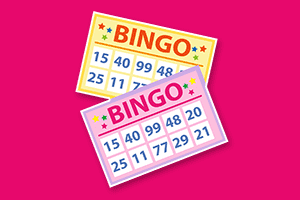 There are some bingo sites that offer a ‘spin the wheel’ incentive on top of the welcome offer, giving new players the chance to win a bigger bonus which can range from £5 to £2,500 on top. However to be realistic the amounts that the majority of players get is skewed to the minimum on offer. Even so, it’s a nice complementary amount and a nice present! We cannot stress this enough but to any bonus given there will be terms and conditions attached, as we highly recommend you read these in order to avoid disappointment should you get lucky and win and then want to withdraw your money.